When it comes to weight, it’s easy to assume that a person who is overweight is unhealthy while someone of “normal weight” is healthy. Yet weight should not be the ultimate measure of our health. Knowing the percent of your body fat is important as well. 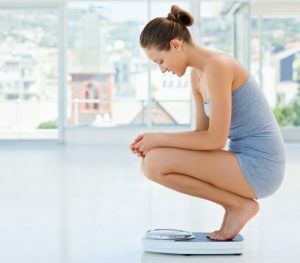 This fact is supported by a recent report from the Mayo Clinic, which states that an estimated 30 million Americans may be what is considered “normal weight obese.” The reason for the concern about this news is the additional finding that higher percent body fat among normal-weight men and women quadruples the risk for metabolic syndrome, which in turn increases the risk of being diagnosed with diabetes and cardiovascular diseases. The recommendation is to get annual checkups and know your numbers for good and bad cholesterol, triglycerides, blood pressure and body fat. If you are of normal weight, but have a higher than normal percent body fat, diet and exercise will help. Start by decreasing sedentary hours in a day and adding a little workload. Optimal health is much more likely to result from moving more (using your muscles) in combination with a healthy diet. Be sure to include at least 25 grams a day of fiber from whole grains, fruits and vegetables as well as an adequate amount of omega-3 fats. While there might be no “quick fix” to unhealthy weight, a few small, permanent changes in your daily routine can have a profound effect on your weight – and provide added insurance for good long-term health.